The Environment Agency is reminding anglers the ‘close season’ for coarse fish in rivers comes into effect today (Thursday 15 March) and runs until 15 June. The close season prevents fishing for coarse fish, like barbel and chub, for 3 months to give the fish a chance to breed. The close season applies to all rivers, streams and drains in England but does not apply to most still-waters and canals. During the close season Environment Agency enforcement offices along with support from the Angling Trusts Voluntary Water Bailiffs will be out on rivers and streams making sure people are observing the close season. They will also be checking lakes and ponds to make sure people who are fishing have a valid rod licence. Anyone fishing without a fishing licence can expected to be prosecuted. Our job is to protect fish stocks and improve fisheries. This includes rescuing fish in distress, improving habitat and restocking rivers with 450,000 fish a year. The majority of anglers, who fish legally, rightly demand that we take action to catch offenders. Our enforcement officers, supported by Angling Trust voluntary bailiffs, will be targeting illegal fishing. We urge anyone to report illegal fishing as quickly as possible by calling our incident hotline on 0800 80 70 60. 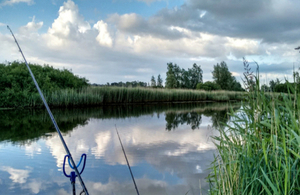 Coarse fishing is still allowed on most still waters and canals, depending on fishery owner agreement, though a valid fishing licence is still required. You can check which still waters and canals still have a close season in operation by checking the byelaws which apply in your area at https://www.gov.uk/government/collections/local-fishing-byelaws. We will be finalising a review of the close season on rivers during 2018. Any changes that arise from this review will be implemented in 2019.